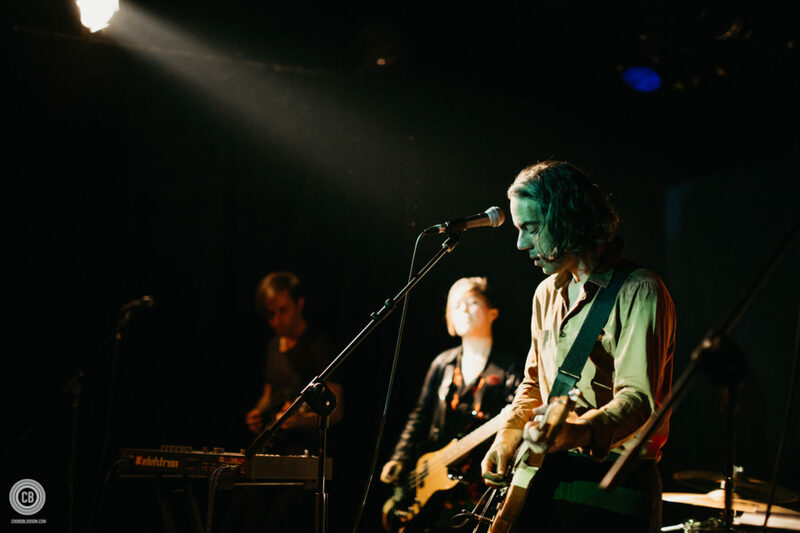 On Friday 15th June, to celebrate the release of their fourth album Stains On Silence, Girls Names decided to christen the album with a live performance at the Black Box in Belfast. I was joined by my friend who had been a longtime fan and this was his first experience seeing the band perform live. As more and more people entered and formed into small groups, a relaxed atmosphere was created with some of the acts performing in amongst this; all soundtracked by gorgeous ambient music which allowed my friend to show off by naming each track. The stage was lit with hues of blue and red but this melted away with the arrival of the first supporting act of the night. 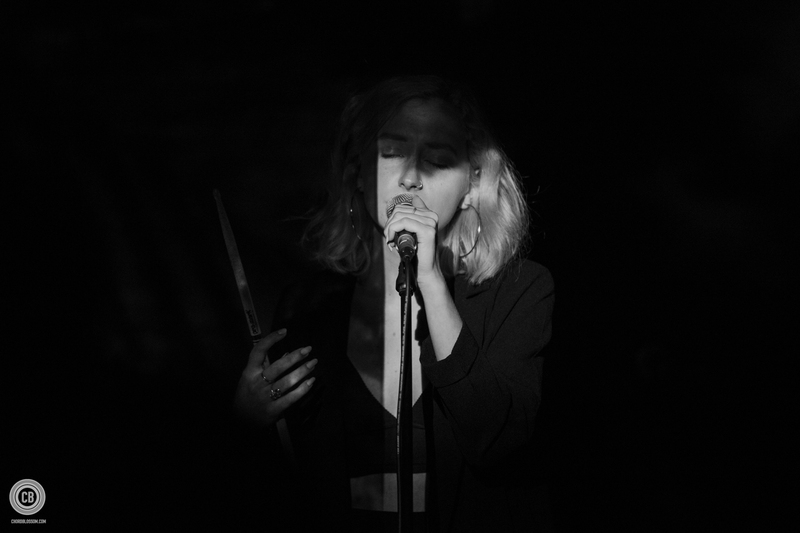 Fears, a musician from Dublin whose stage production alone was impressive with intimate background images projected adding to the spacious and dark sound of her music. Fears joked with the audience mid set as she stated “There is something so satisfying about passive aggressive songs sung in such a sweet voice”. This self awareness bleeds through on the highlight of the set with her final song ‘h_always’ which is prefaced with a deeply personal story detailing a mental breakdown which inspired the song and her experience in the hospital. This is well received by the crowd with applause and squeals of support. A smoke later and the growls of bass and percussion made its way outside and we followed it to be met by the final support act. Ghost Office, a Belfast based three piece outfit instructed the polite audience to move in and let go of themselves a bit. This was encouraged with their energetic performance and vibrant personality as the drummer referenced the band’s merchandise table along with his affinity for tapes. The highlight of the set was a slower paced “ballad” as described by the guitarist called ’Life in The Third Person’ from their EP Desire Lines. 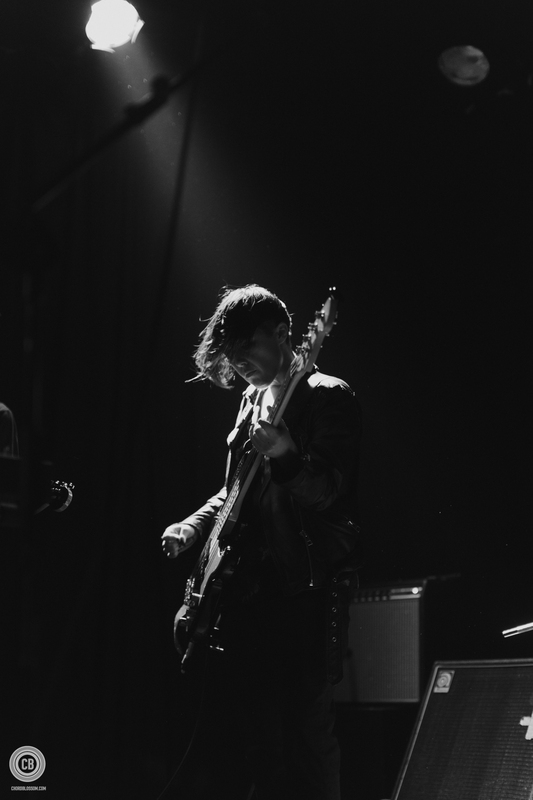 The opposing sounds of the support acts seemed fitting for the headlining Girls Names whose newest album is sonically closer to Fears which is not the case with the acts previous discography. The main spectacle Girls Names approached the stage and greeted the crowd with a set which predominately featured older material with newer tracks sprinkled in-between as lead singer Cathal Cully aimed to ‘keep everyone happy’. This included tracks from albums The New Life and Arms Around a Vision. Cully and bassist Claire Miskimmin regularly interchanged from guitars to keyboard and synth pads. 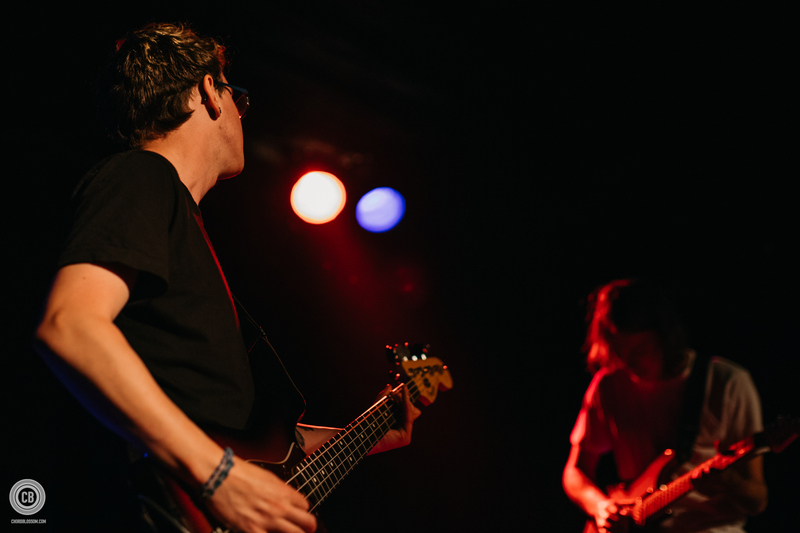 A new track was debuted live called ’Haus Proud’ which is featured on the newest record. Sonically, this song stood out with its bright synths and knocking precision and Cully’s Low-era Bowie inflection in his voice. Elsewhere, the song ’25’ was performed which transported everyone to Twin Peaks’ Bang Bang Bar momentarily. The highlight of the set came from a track from 2013’s The New Life as the track ‘Hypnotic Regression’ sprung into life and thus the audience loosened up. Although no one matching the woman at the front who possessed an insane amount of energy which was a fitting response to the well oiled performance by the band who are close to a decade in the making. As the gig came to a close, Cully thanked the audience for coming out as well as the support acts who certainly earned their place next to such an established act. The crowd filtered out slowly and conversations immediately turned to the gig. It seemed that for many who were anticipating the gig had their thirst quenched, especially since it has been a while since the band had played in Belfast and after this reception I doubt it will be long until they are back.